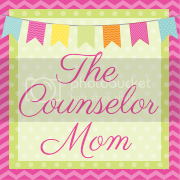 The Counselor Mom: 66 days until Christmas and 63 until Hanukkah! You better start making your lists and checking them twice, because the Holiday gift season is in about 2 months! Yikes. I know what you are thinking, it's not even Halloween yet, or Thanksgiving, but as you know, having kids means planning way well in advance for these things. So what do you buy your child and relatives this season? It seems that every year there is a different trend, for each age too. Last year Harry Potter toys and Zhu Zhu pets were all the rage, this year? Do any of you have any ideas or big plans on toy buying this season? Any tips on when to buy them or where to go? I am going to be posting some toy ideas for the upcoming toy buying season, but wanted to get a few ideas from you readers first! In the meantime, a great place to start is the company I was introduced to a few weeks ago called Time to Play Mag. They have a great feature on their site called Toy Advisor where you can enter the age of the child and gender and it will recommend toys for you, click here to try it out. Also, in case buying toys is not the only part of holiday gift giving, there are lots of charities out there that would be a great idea to donate to and show your child what the gift of giving really means. You can find many non-profits and even donate online through the United Way. Or, if you haven't done it already, you can open up a 529 Education Savings plan and have your family give your child a gift towards their future education instead of toys. So, with the holiday season fast approaching, let us know what your plans are and any great suggestions for our readers out there! My 3 year old is into Dora, so anything Dora she will be squealing with delight.